In my recent blog posts on tight muscles not needing to be stretched and lengthened and strength-training not shortening your muscles, I mentioned that increases in flexibility or passive range of motion resulting from yoga or passive stretching practices don’t stem from increases in resting muscle length but from the nervous system being able to tolerate the stretch better. This mechanism of the nervous system is known as stretch tolerance. To recap, when you hit your end range of motion and feel the sensation that your muscles can’t stretch further, that sensation is being controlled by your nervous system; it is not letting you go there. The sensation does not indicate that you’ve reached the actual limitations of your muscle length. As you continue to practice passive stretching over time, your nervous system changes its perception of what range is safe and allows you to go further over time. You might be thinking “Who cares about the mechanism? I go to yoga, I get more flexible regardless.” And sure, if your goal is to increase your passive range of motion then you’d be justified in that response. 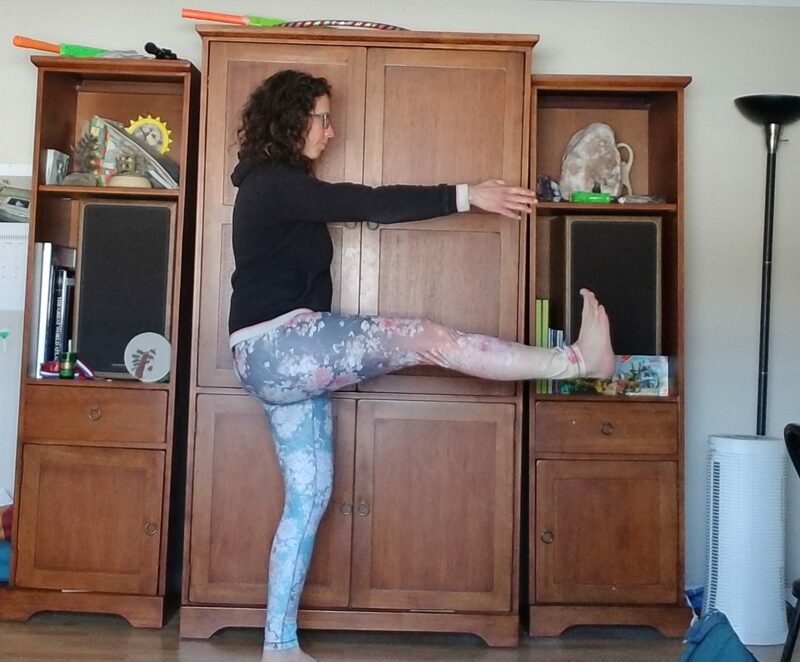 I’m here to talk about why we might consider different physical goals for our yoga practice than passive flexibility. Note that this blog is not about the mental, emotional, or spiritual aspects and benefits of the practice. Those are different and important conversations and not the purpose of this particular post. In this post I’m talking about physical benefits and goals. 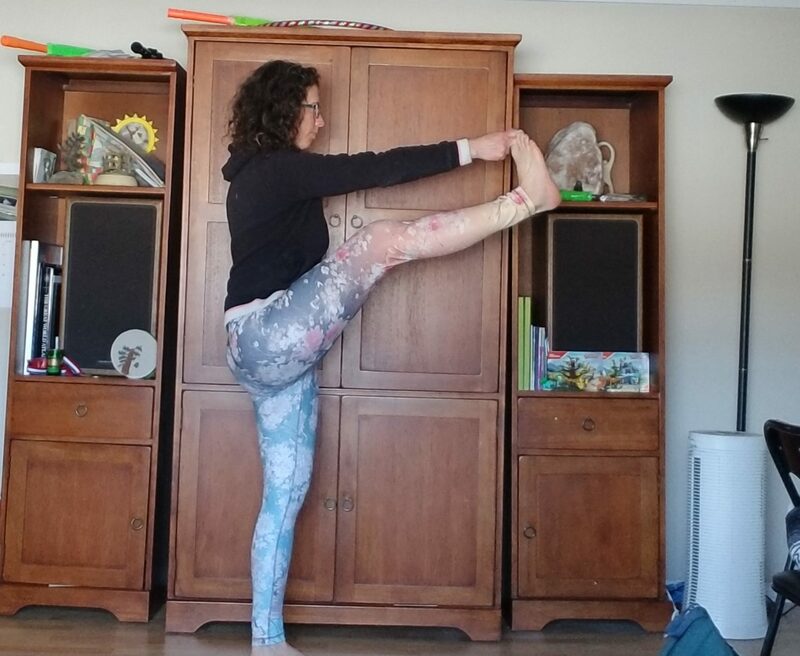 Let’s first talk about what flexibility is and isn’t. Flexibility is sometimes described as the extensibility (ability to lengthen) of the muscles and soft tissues whereas mobility is often used to describe how the joint/bones moves. However, I prefer an alternative definition and will use it here. In this definition flexibility refers to how far the joint can move (range of motion or ability to achieve a certain position of the joint) whereas mobility refers to the ability to be in control of that range of motion. For more on this you can refer to a great article discussing and clarifying these concepts written by my friend Jenni Rawlings. A good example would be in Standing Big Toe Posture (Utthita Hasta Padangustasana). In yoga we usually use our hand to hold the big toe of the non-standing leg. In doing this we use the strength of the arm to pull the leg into a passive range of motion in the pose. This would indicate the flexibility we have (how far the joint can move in this pose – a combination of how the bones move, the soft tissues ability to stretch (stretch tolerance), and the forces placed on it by the pulling with the hand). Alternatively, if we use the strength in the muscles of the hip and leg to control this movement and do not use our hand, we find how much mobility we have (our ability to control the range of motion actively). Another popular example to indicate this difference is to imagine full splits (called hanumanasana in yoga). A flexible person might be able to come into this position and stay there and they may be relying on their ligaments and connective tissues to support them there. In other words, they are not able to access much muscle activity while in that position. On the other hand, a highly mobile person can come into the position and could use the strength and control in their leg muscles to come back out of it all the way to standing (without using their hands, twisting or leaning their body to get out). Try using this blanket trick to actively slide out and then back in again and stay within that active range. So while you might not care about the mechanism for increasing passive range of motion (stretch tolerance vs. increased resting muscle length), it is an important distinction to realize that your flexibility gains in your yoga practice (if it is mostly passive – and even Vinyasa-type practices mostly involve passive stretching even if the practice is more movement-oriented overall) are not gains you carry with you through life. Your muscle returns to its resting length after the stretch and that increase in flexibility is not available for you to use actively as you go about the activities of your daily life. If your goal is to be able to attain a static position as seen in yoga Instagram pics or the covers of yoga magazines, then yes, practicing yoga asana as a bunch of static passive stretches will increase your passive range of motion (through increasing your stretch tolerance). In short, as with any sport or movement-specific training, practicing yoga asana this way will improve your ability to come into yoga postures that require a high degree of flexibility. You might still be prevented from your goals by your specific bone and joint movement and spaces, but, in general, practicing yoga asana makes you better at practicing yoga asana. Just like practicing your tennis serve will make you a better tennis player. But if your goal is to improve your mobility (the range of motion you can actually use in life) then you might want to consider adding active, strength-work to your practices. I am not referring to adding 101 Vinyasas or Chatturangas, but that is for another blog. Adding active work, especially at end ranges of motion, will increase the ranges of motion you have control over. In short, these are mobility gains you can take with you off the mat. If that was your intended goal in the first place then it might be time to bring some more muscle action to your practice. Here is a video I posted on IG the other day showing a transition from active Standing Big Toe Posture to active Dancer (no hands). The poses look WAY different than my passive range in these positions. 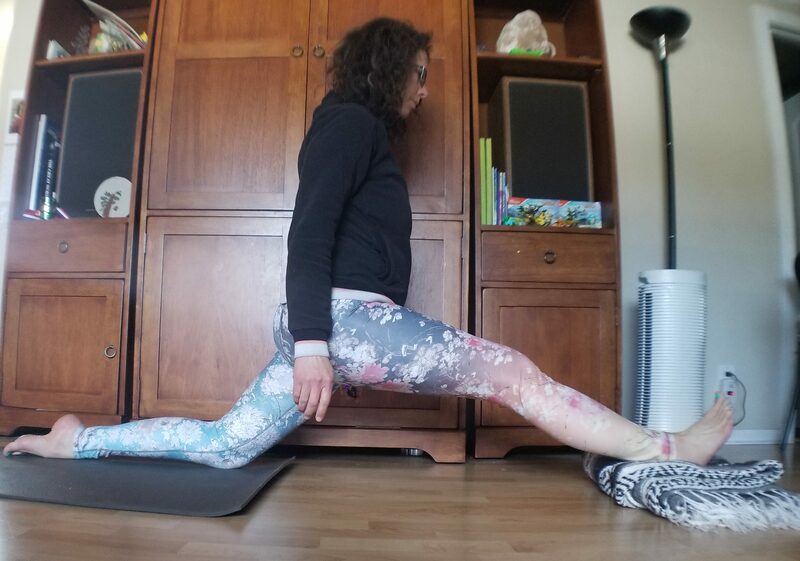 And they are much more challenging – the hamstrings have to work in active Dancer – something that is rare in a yoga practice where a more common focus is to stretch the hamstrings passively! Wherever you are reading this, stand up and try this sequence out and notice the difference when you practice actively! There are several other reasons why you might want to consider the benefits of active range of motion and active movements over passive ones, but I will save those for another blog. If you are interested in a more active approach to your yoga practice, check out my upcoming 6-week Yoga Strength class here.